Tata Motors and Mahindra made big splashes with electric cars in India, along with two-wheelers pushing majorly for electrification of powertrains. The Auto Expo 2018 has been a show filled with technology-laden concept cars, with the mighty Mercedes-Benz Concept EQ and the heartwarming Honda Sports EV stealing maximum eyeballs. 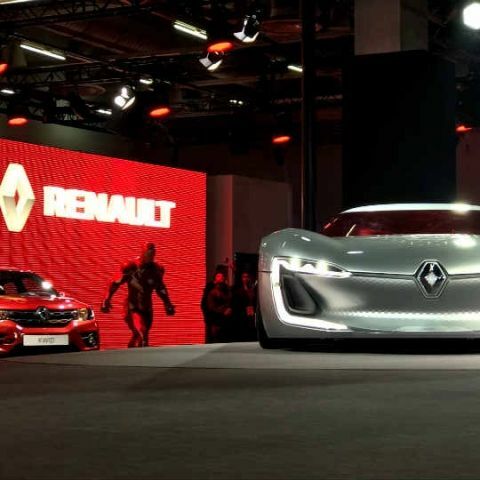 Equally in contention, meanwhile, were electric cars, and while the show floor was not exactly strewn with electric cars all over, major companies came up with production-ready models and concepts of electric cars. Most of these exhibits will either be launched in India, or provide a platform for India-specific variants that will soon make a beeline for shipping in India. With talks of charging networks increasing at a steady pace, we take a look at the most notable all-electric cars on show at the Auto Expo 2018. Hyundai attracted massive footfall on day two thanks to the presence of its corporate brand ambassador, Shah Rukh Khan. But, the company's portfolio of cars were equally impressive, and Hyundai India had two of its most notable recent cars on display at the Auto Expo 2018 show floor. 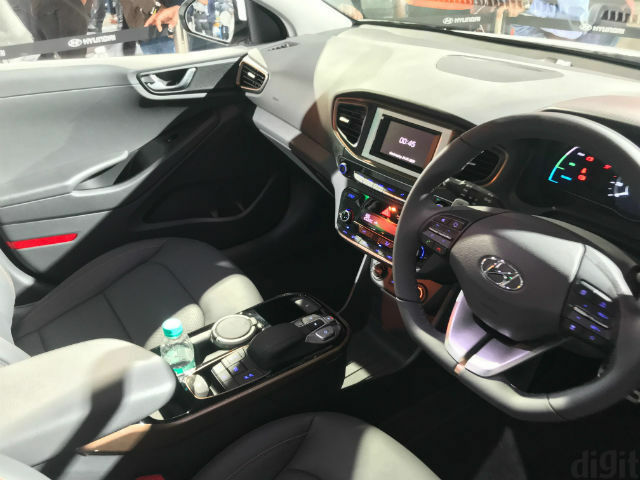 The Hyundai Ioniq has been the company's go-to car for all purposes autonomous, connected and electric globally, and is in contention for being unveiled in India with its all-electric powertrain. Interestingly, the Ioniq's versatile platform means it is globally available in all formats of powertrains - combustion engine-only, hybrid and electric. Also present in prototype form is the Kona, although the compact SUV was only present in the all-doors-sealed prototype format. The Kona is also being considered for India, and inside sources tell us that one among the two will be launched in India this year itself with an all-electric powertrain, subject to clearance of permits and paperwork. The Hyundai Ioniq will sit just above the Elantra, while the Kona will slot in between the Creta and the Tucson. Design has always been Hyundai's strength, and the two EVs in store for Hyundai's future India portfolio are in line with the company's design philosophies. The Suzuki e-Survivor concept is just a first glimpse at what Suzuki claims is a durable, versatile platform that will power its EVs in the future. The company showcased the e-Survivor concept at the Auto Expo 2018, and it is this concept - the ladder frame chassis holding the all-electric powertrain and driver assist units, which will play host to the company's future EV ambitions. The Suzuki e-Survivor itself is more like what Richard Hammond would call a bug-out van, although we doubt it to have similar design elements when it goes in production soon. Much has been said and written about the Honda Sports EV and NeuV concepts already. The former is the adorable all-electric sports tourer that harks back to the first Honda cars of the '60s, while the latter is a new-age take on a hatch wagon that will take its spot in ride sharing models of the future. What's common are the platforms these two are based on, the bunch of driver assistance technologies delivering up to level four autonomy, the gigantic curved OLED display that recognises touch, natural speech and gestures, and the overlaying future-oriented approach that these two have. Honda may not have launched an electric car in India already, but by presenting these two, have shown its clear intent that by the time the market of electric cars in India truly starts maturing, they will be ready with a lot to offer. Tata Motors' pavilion was all about the two concepts that it presented, but beyond them, a crop of Tata's present cars got electrified. The popular hatchback Tiago, and its compact sedan brother Tigor will now be offered as EVs in the mass market segments. This is only the beginning of a journey that saw Tata Motors bag a joint contract alongside Mahindra to deliver the first crop of EVs to the Government of India-overseen EESL, and now, the cars will be available for car buyers across India, too. The TaMo RaceMo, meanwhile, now gets an all-electric powertrain to match its design prowess. 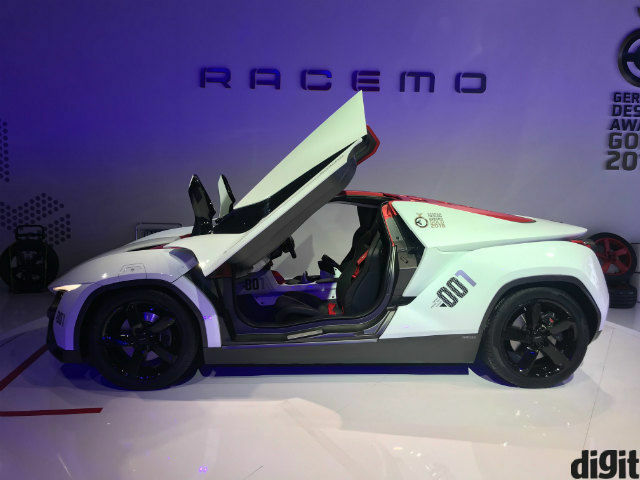 The all-electric RaceMo is not a concept, but seeing how the RaceMo is for the time being more of Tata's ambitious garage project than immediate production line contender, we do not expect to see it on road very often. Perhaps the company that has made the biggest splash on EVs is Mahindra. 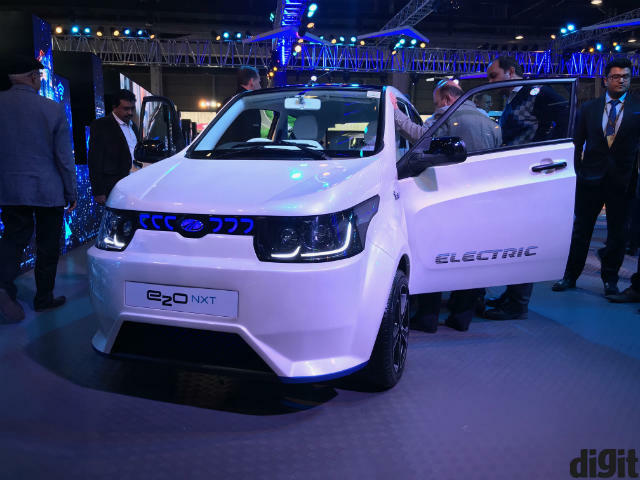 The company brought a bunch of electric cars to the Expo - the e-KUV100, the Udo and Atom last-mile CEVs, and an all-new e2O NXT with updated interiors, touchscreen infotainment system and more. With this new portfolio of cars joining Mahindra's electrified car list, the company is aiming to gain a head start before major car makers start bringing their electric cars to India. As such, the company is attempting to improve their cars' lifestyle appeal, alongside providing better overall range and a wider network of EV charging stations across the country. 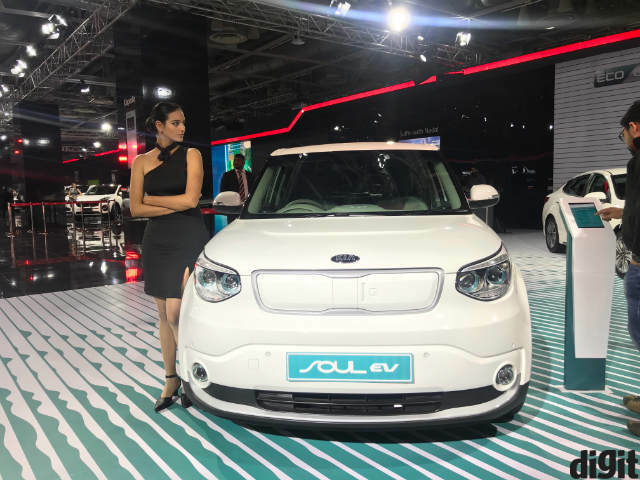 Also part of its 16-car entourage was the Kia Soul - the only fully electrified car presented in India by Kia at the Auto Expo 2018. The Kia Soul stands alongside the Niro and Optima plug-in hybrids, and may be launched in India when Kia begins shipping its cars on Indian roads from 2019. The Kia Soul EV is expected to be the only EV offering from Kia, which has stated its intention of targeting the mass market categories to begin with. The Soul EV hatchback, hence, may well go up against Mahindra's offerings when it starts selling in the country. 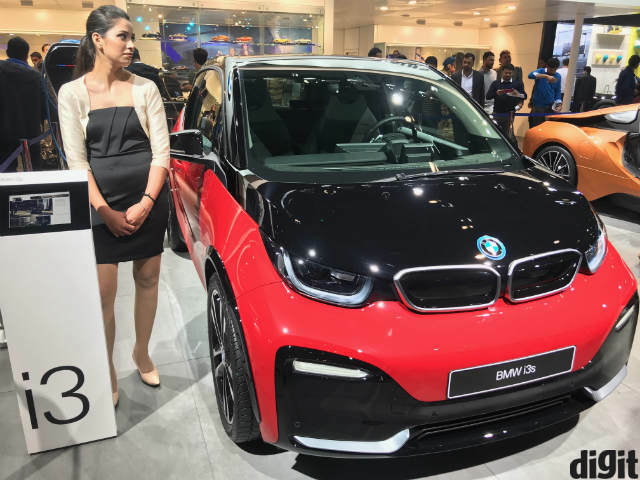 While the BMW i8 Roadster was also present on BMW's show floor, what caught a lot of eyes is the flash red-and-black i3s luxury hatch. The BMW i3s will be launched in India this year, although pricing remains in question. As such, the BMW i3s is expected in India in fully electric form, and may well become the first luxury car in India to come with an all-electric powertrain to be officially available. The Mercedes-Benz Concept EQ is an insight on what the company has in store for the future, and signifies much of what Mercedes-Benz will stand for in future. 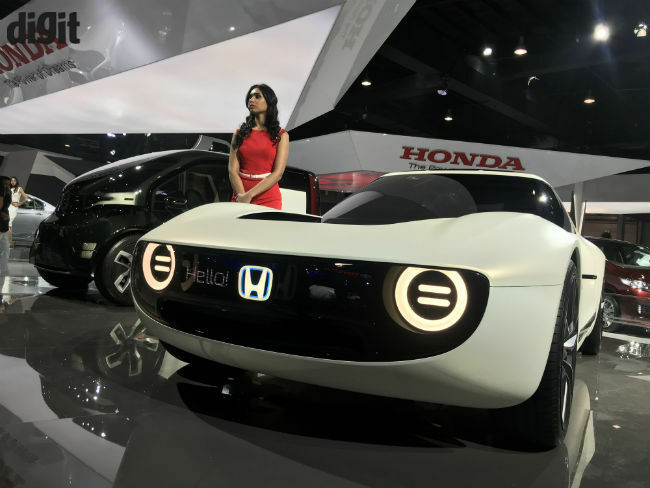 Autonomous, connected and electric, the Concept EQ turned plenty of heads at the Auto Expo 2018, and may very well be called the smartest car on show at the Expo alongside the Honda Sports EV. The Concept EQ has everything that you've read about future cars - swivelling seats, augmented reality screens, retracting steering wheel and long range electric-only travelling. This is what the future of mobility may look like, and it certainly looks quite good. The Renault Zoe is a compact hatchback with decent ground clearance and interior space. These three factors make it quite well suited for Indian soil, and although there are no confirmed words on whether it will come to India, spotting it at Auto Expo 2018 has raised words regarding its impending arrival in the country. 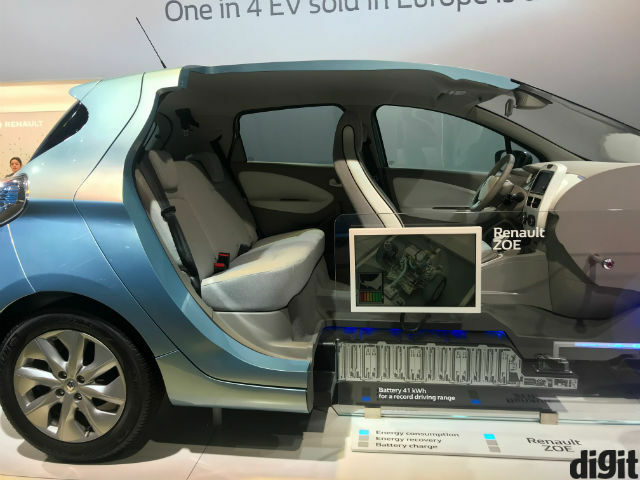 The Renault Zoe might just be a success as EVs ramp up in India, seeing how well positioned it is, and Renault may use this to increase its fortune on Indian soil. The Trezor, meanwhile, would presumably continue to remain a concept, and it certainly will not be swooshing into production charts in a hurry. When it does, we certainly expect it to drop the red-bathed cabin, as it does not really make practical sense in the long run. WHAT IS THIS WHAT DOES IT DO?